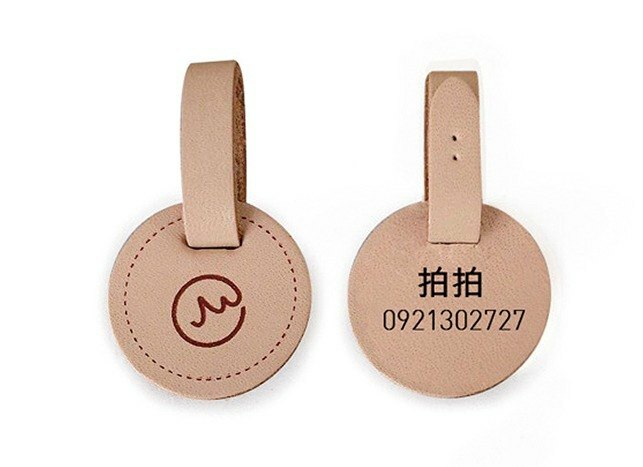 Tag made in corium, it can be carved your pet’s name and contact information. It is suitable for collars produced by pet’s and design and all the stores in the market. Small tag: Diameter: 2.8(cm) Wide: 1.5(cm) Big tag: Diameter: 3.8(cm) Wide: 2.4(cm) This product is customized. It doesn’t allow you to return or revise lettering unless it is our negligence. Made in Taiwan.